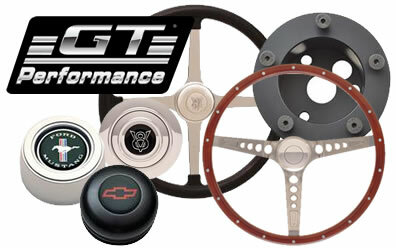 GT Performance is a premier manufacturer of steering wheels for muscle cars and high performance machines. Summit Racing offers a large selection of aftermarket options for your ride including steering wheels, steering wheel installation kits, horn buttons, and more. Order your GT Performance steering wheels and accessories from Summit Racing today!